It just so happened that the day I decided to wear colors was the day the weather suddenly sprung up to the mid 70s! What perfect timing! Neutrals are all I have been wearing lately, so I thought I would cheer up a bit and style up some colors! Blue... where do I begin? My relationship with the color blue is a strange one. 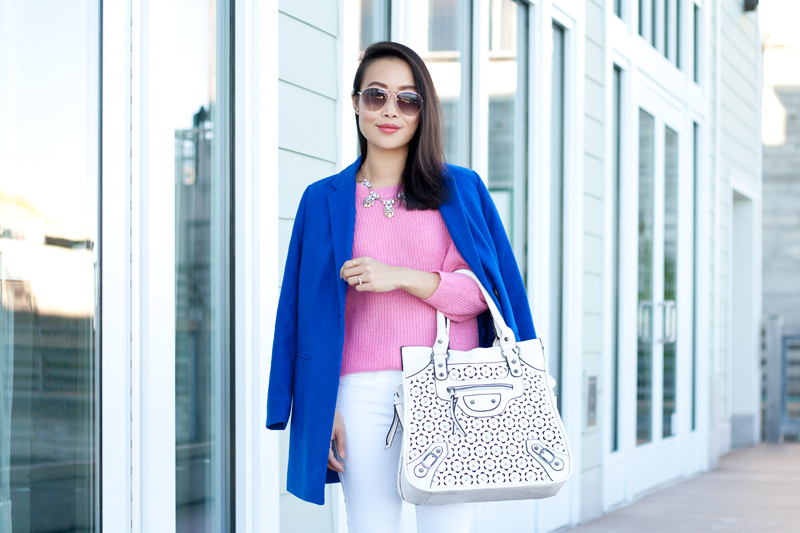 I don't usually gravitate toward blue, whether it is navy, cobalt, or baby blue. However, when I do wear it, I end up really liking it. It's strange. Perhaps blue is the new black? Who knows! 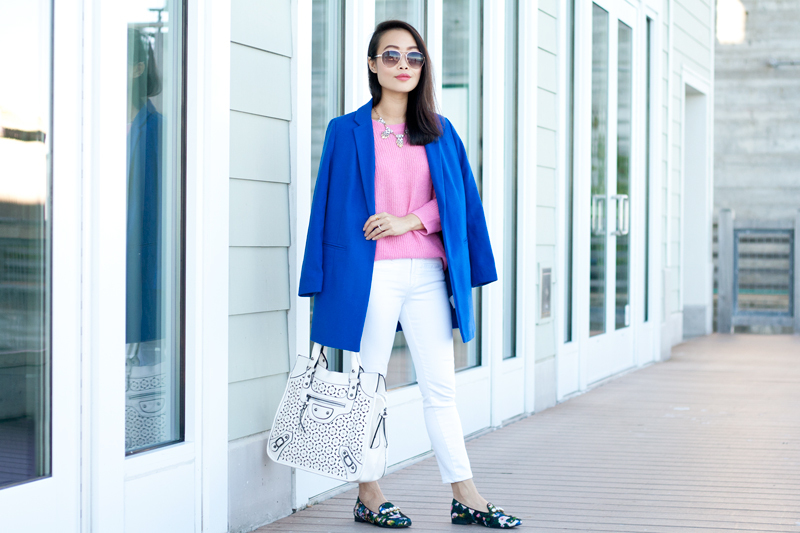 The pairing of my cobalt blue coat and pink sweater top was inspired by the colors of my jeweled floral loafers. 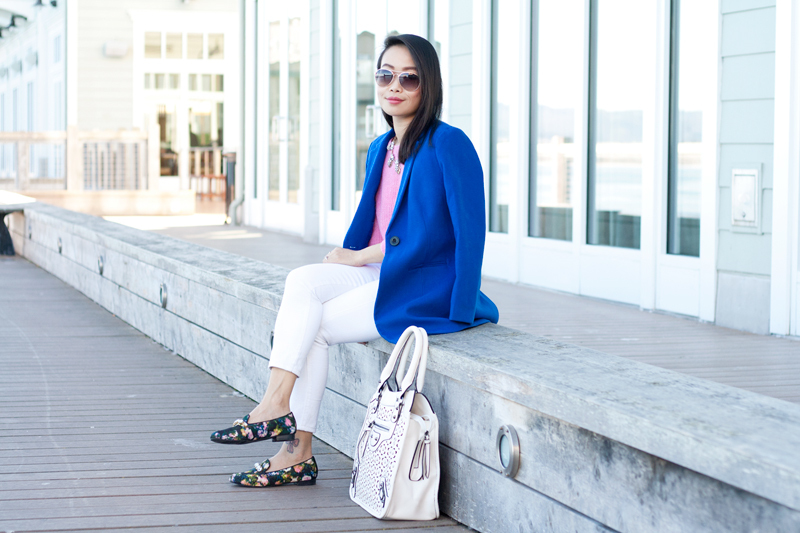 Not only are these shoes cute, they are also very comfortable, perfect for walking around all day during my much needed weekend getaway in Monterey! Speaking of Monterey, these photos were taken at the beautiful InterContinental The Clement Monterey which kindly hosted my stay. Check back Wednesday for a more detailed travel post! 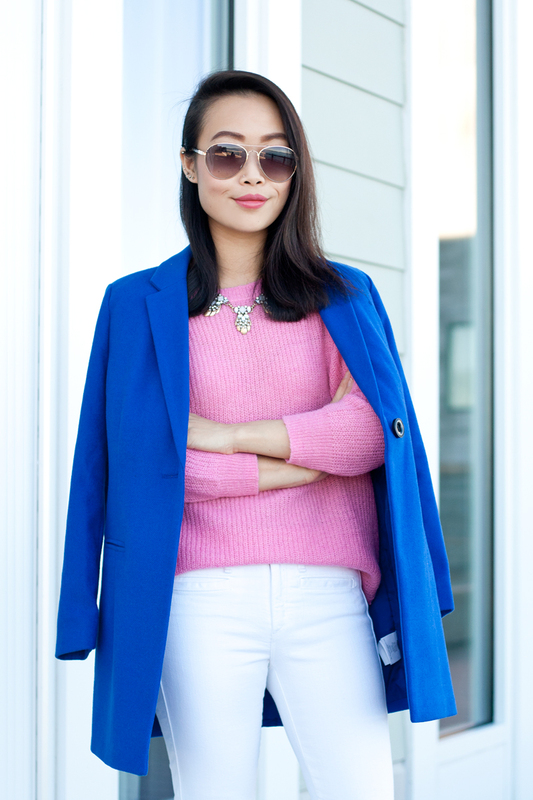 Cobalt blue longline coat c/o Old Navy. 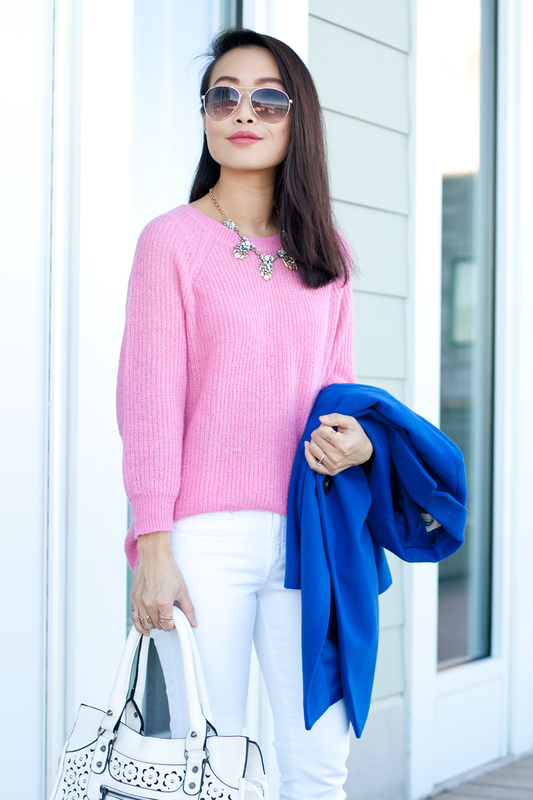 Pink sweater from Old Navy. 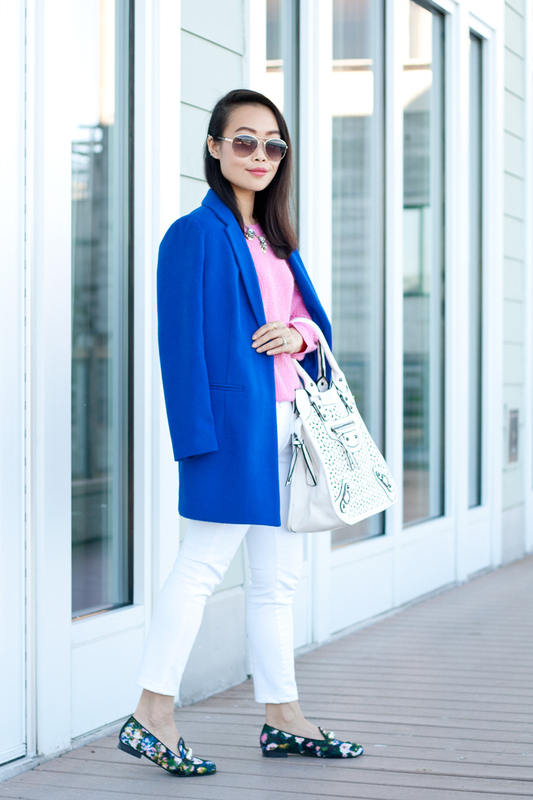 White Carmina skinny jeans c/o McGuire Denim. 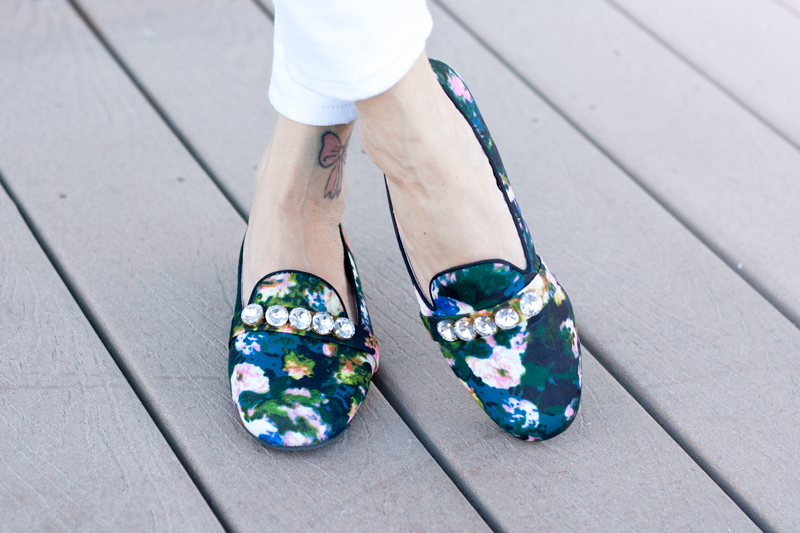 Jeweled floral loafers c/o BC Footwear. 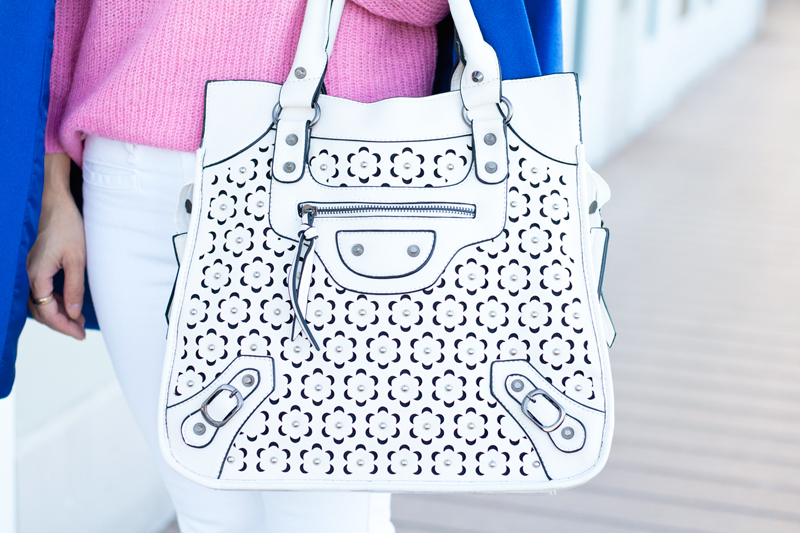 Floral cut out studded satchel c/o Handbag Heaven. Statement necklace c/o Sole Society. Aviator sunglasses from Old Navy. Perfect outfit! The colors all look so good together.